Join us as we learn about the roots of architectural acoustics in Britain! The science of architectural acoustics in Britain took tremendous strides forward in the inter-war years. Between 1923 and 1935, five separate acoustic laboratories were constructed at the government facility for building science, the Building Research Station (BRS), and a sixth was made available for collaborative work at the National Physical Laboratory (NPL). 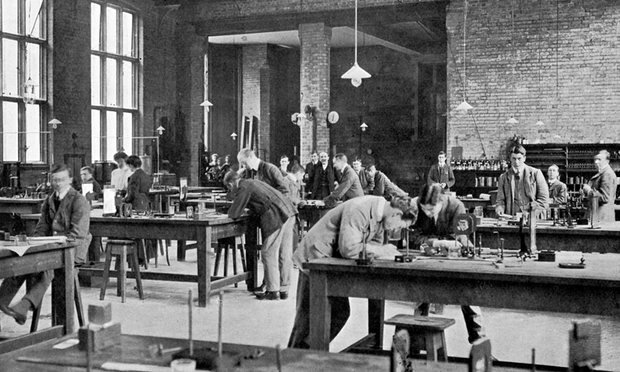 This is the story of the first of the laboratories – for which a full set of construction drawings has been unearthed – and the (slightly stormy) political context within which that laboratory was established, thus bringing acoustics onto the official agenda for research in building science. Guest Speaker: Fiona M. Smyth was awarded a Newman Medal in 2014 for a Ph.D. dissertation completed in Ireland and awarded by University College Dublin. Fiona trained as an architect at University College Dublin, before beginning her Ph.D. research under the joint supervision of Professor Hugh Campbell at University College Dublin (architecture) and Professor Henry Rice of Trinity College Dublin (Engineering). The dissertation for which Fiona received the Newman Medal was an examination of interdisciplinary developments in architectural acoustics in early twentieth-century Britain and Ireland. Fiona is presently in the US where she is furthering her acoustic work through the lens of the history of science as part of a Marie SkÅ‚odowska-Curie Postdoctoral Fellowship at Harvard.